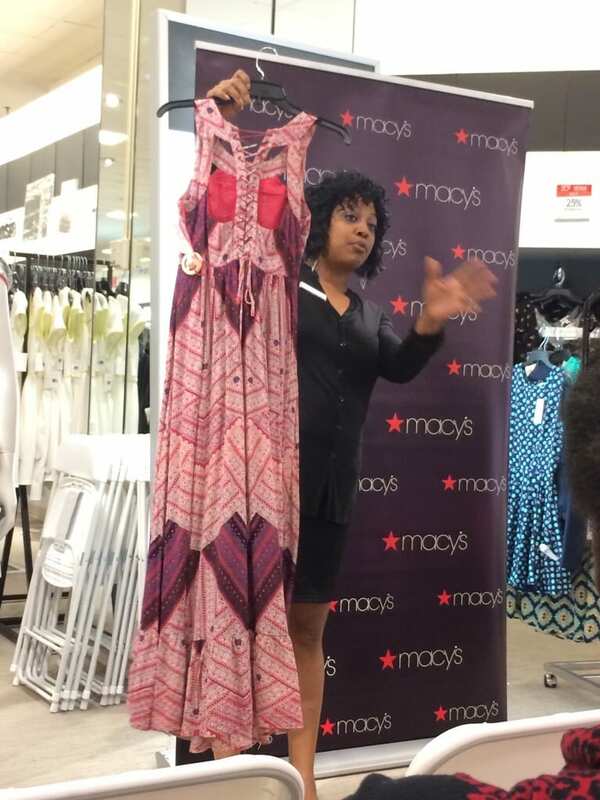 I had such a fantastic time at the Macy's Secret Garden Tea event. 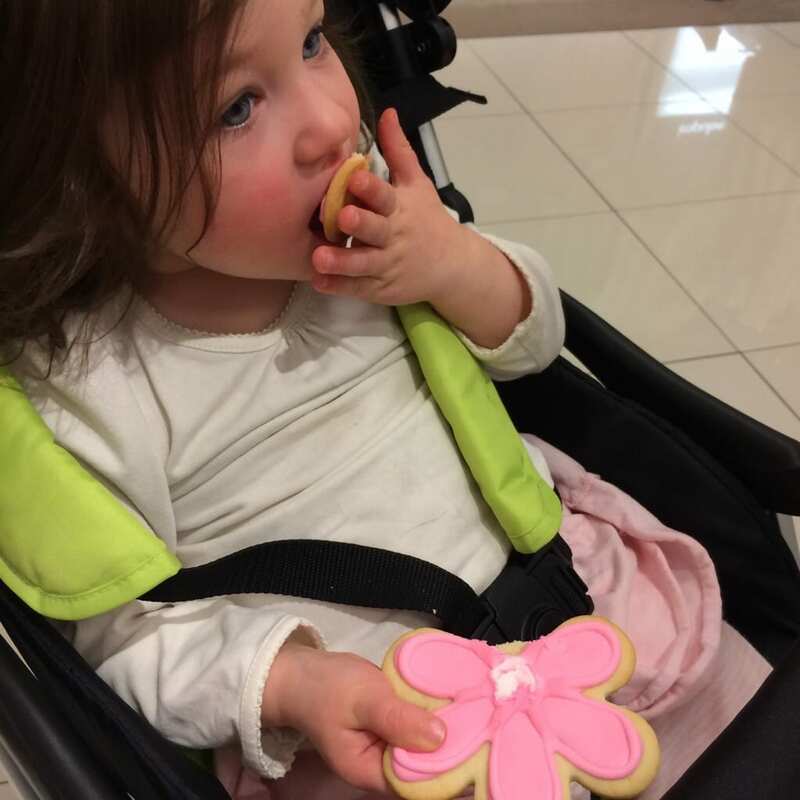 I ran into some blogging friends and I learned a few new things that I wasn't aware of that Macy's offers. I brought the peanut with me and we sipped on Starbuck black tea and ate the best flower cookies I've ever had. They literally melted in your mouth. SO GOOD! 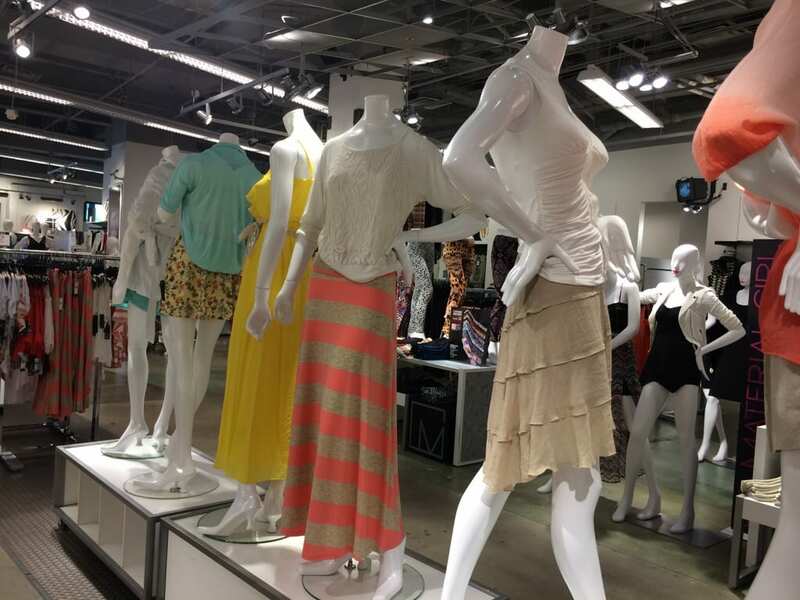 Macy's now has a MBA (Macy's By Appointment) program in select stores. It allows you to have a personal shopper that helps you with specific needs and looks that you are trying to achieve. They also have custom bra fitting in the intimate department. Because most women are wearing the wrong size. They help with proper shape wear also. I also got a look at the new looks for Spring. I'm not a fan of the solid block color look but there are some crazy prints coming out for pants and leggings. I think I'll stick with the pastel colors that I found. I especially LOVED this dress. Unfortunately, it was way too far out of my price range and I need to lose a few (a lot) more pounds to fit into it! The store was decorated with lots of fun Spring colored flowers and fashions. Make sure you catch an event in your store before they are gone.